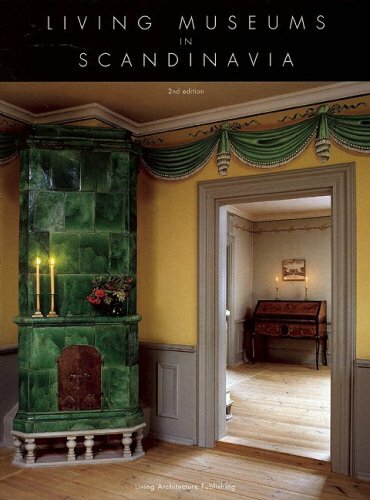 An inspiring, interesting and useful insight into Swedish life and interior decoration of the past. This is a lavish photographic guide to thirteen historic houses in Scandinavia that have been preserved exactly as their original owners left them. 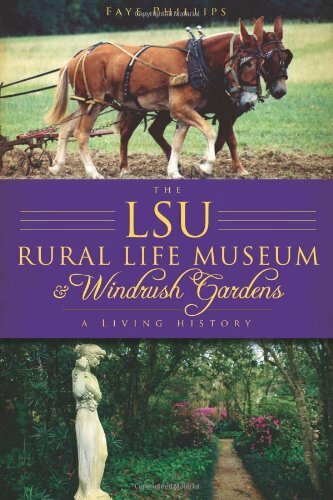 They have now been opened to the public as museums. 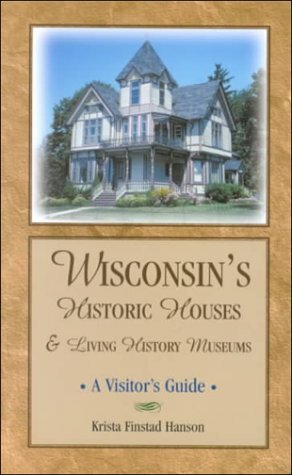 The houses featured represent a wide range of types, from the sophisticated Jugend style to simple country dwellings, city houses and studios, and belonged to artists, architects and scientists, as well as ordinary folk. Painstakingly reconstructed and preserved with authenticity, these homes offer the reader a rare opportunity to travel back in time to experience the best in Scandinavian style, characterized by simplicity and by clarity of light and color. Brazil's northeastern state of Bahia has built its economy around attracting international tourists to what is billed as the locus of Afro-Brazilian culture and the epicenter of Brazilian racial harmony. Yet this inclusive ideal has a complicated past. 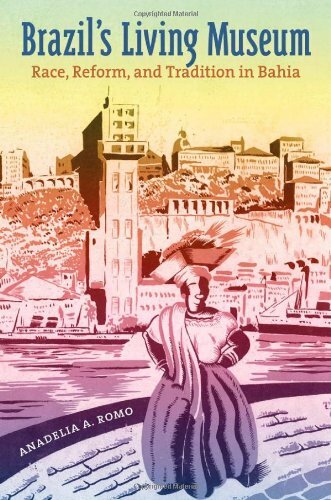 Chronicling the discourse among intellectuals and state officials during the period from the abolition of slavery in 1888 to the start of Brazil's military regime in 1964, Anadelia Romo uncovers how the state's nonwhite majority moved from being a source of embarrassment to being a critical component of Bahia's identity. Top Secret is definitely not the right word for the International Spy Museum—its launch in 2002 made news and it has been high-profile ever since, with attendance growing by leaps and bounds. 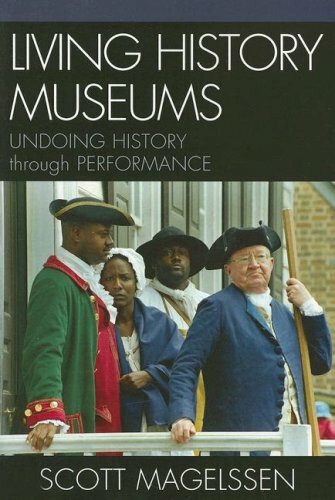 The International Spy Museum Handbook of Practical Spying has already been declassified to the delight of those in the need-to-know. Now, following up on that success, here's an illustrated biographical who's who of spydom from biblical days to recent times. 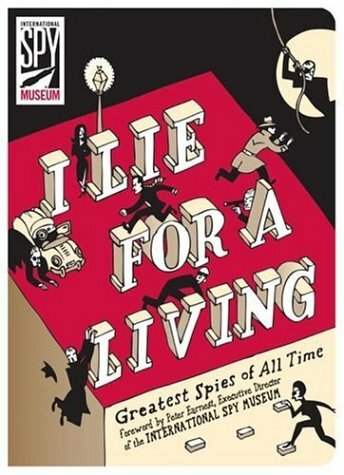 I Lie for a Living is a regular rogue's gallery of history's most accomplished intriguers and intelligence operatives, famous and infamous alike. I spotted this on the non-fiction shelf in my local library teen room and thought "Yeah, that's a book a teen boy would pick up." Being a few decades removed I can still tap into my inner teen boy. I picked it up without a seconds worth of hesitation. It's a smartly designed book, very contemporary graphics, layout and typeface, very much in step with what attracts a younger reader. It's also in keeping with the style of the International Spy Museum in Washington D.C. which is very interactive and modern as single-subject museums go. After a brief intro about the long history of international spying we jump into chapters where spies are grouped by like: those who did it for the money, master spies, double agents, femmes fatales, and so on. Each of the spies get a full page photo or illustration and one-to-three pages about their lives as spies. And there are a lot of spies in this book. 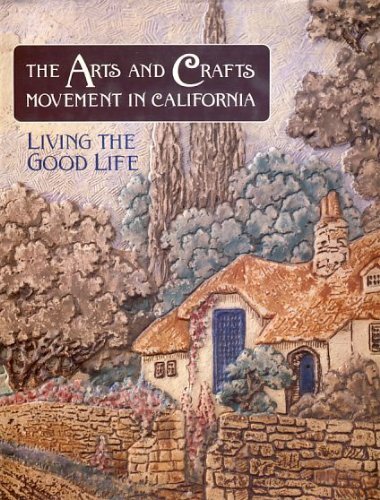 Easily half I've never heard of, most are single-page treatments (generally the non-Americans get short shrift) and they read like much longer entries that have been edited to within an inch of their lives. Many of the bios assume a large amount of understood history -- for example the bio of Allen Dulles, first civilian head of the CIA, assumes knowledge of The Bay of Pigs invasion and why it failed. While the format of short bios on the subject of spying makes attractive reading for boys, and there's a lot of background stuffed into the pages, the book overall serves as little more than a jumping off point for further investigation in other books. Books, it should be noted, which aren't listed in the back of the book; the bibliography, such as it is, suggests books for further reading from which some of the information was drawn but it is woefully inadequate for a book that handles its information so loosely. I've been to The International Spy Museum and they do a nifty thing where you pick up a dossier for a spy when you enter, follow their progress along the way through the exhibits, and in the end learn their ultimate fate. It ties the exhibits together, gives you a narrative to hold onto, makes you pay closer attention than you might if you were merely drifting through the space. It's too bad they couldn't bring some of that innovation to this book. Very interesting and informative. 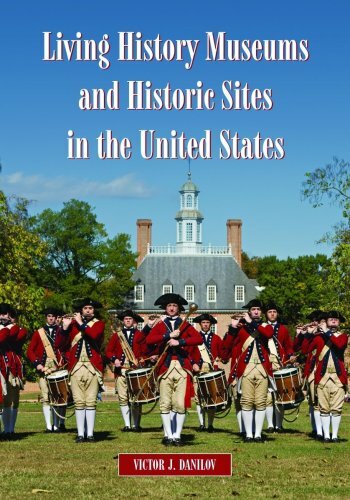 Good for bathroom, car, or wherever you may need some quick stories to pass a few idle minutes or as a coffee table book to stimulate engaging conversation. Jeremy Cabbage stuck at Harpwitch’s Home for Mean Dogs, Ugly Cats, and Stray Children, where the dogs are treated better than the kids. And things aren’t much better on the outside: the city is ruled by the arrogant and foolish Baron Ignatius von Strompe, who’s on a campaign to stamp out anyone who’s different. At the top of his list are the outlandish people known as cloons, who look like clowns, say what they want, do as they please, and make everyone laugh the whole way through. Jeremy’s only chance is a good adoption—but who would possibly adopt Jeremy, an unloved, unwanted eleven-year-old? The answer sets Jeremy off on an outrageous, comical adventure that brings him face-to-face with the Baron himself. Orphans, an abandoned baby found in a box of cabbages, a brave girl that is mother to them all, betrayal, separation, an entrancing cigarette-smoking abomination of a woman, a claustrophobic treasure hunt, tyranny, revolt, totalitarian pomposity, clowns, women coming out of canons, human dictionaries and above all --COMPLETE MADCAP UNBRIDLED OPTIMISM. 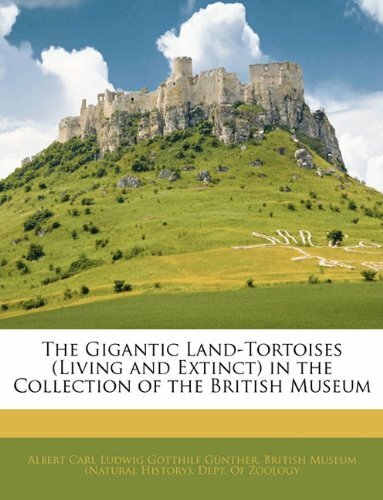 It is 200+ pages of quadruped delights! What makes a family? This is only one of the questions that David Elliott seems to be asking in Jeremy Cabbage and the Living Museum of Human Oddballs. There are others, too: What is the definition of tolerance? What are the qualities that make a hero? (In Jeremy's case, rather than the knuckle-bearing, weapon-toting figures we hold up as models for boys today, it is keeping a steadfast heart.) But these important questions are asked subtly, embedded in a rollicking adventure that is both heart-warming and, at times, hilarious. Filled with a cast of eccentric, lovable characters, and with enough villians to make us curl our lips (in one case, one can't help but ask: Was Elliott thinking of a certain foolish but dangerous ego-driven President when he was writing the Baron?) 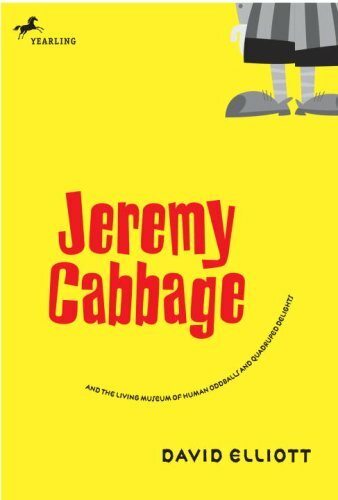 Jeremy Cabbage would make a wonderful read aloud for any classroom or family. You'll laugh. You'll cry. You'll be sorry when you've finished. "EVERYBODY DESERVES TO BE HAPPY"
A bit droll.A bit daffy.A lot of enjoyment.In other words, another story by the imaginative, irrepressible David Elliott. We meet Jeremy Cabbage, an orphan and resident ofHarpwitch's Home for Mean Dogs, Ugly Cats and Strey Children (Ms. Harpwitch did not spell well).The day comes when he is adopted but rather than being clasped to the ample bosom of his new mother (and few bosoms are ampler), he hears, "Yeah, he's kinda scrawny but he'll do. "That doesn't bode too well for Jeremy nor does his return to the Home andthe adoptions that follow, including the pair that simply wanted an au pair for their sick goldfish. Jeremy really misses Polly who cared for him after finding him, an abandoned infant in a crate of cabbages.However,they were separated when a city ordered raid gathered up all orphan children.The city is Metropolis and it is ruledby a heartless man, Baron Ignatius von Strompie.Jeremy wonders where Polly is, if she was taken to a place as horrible as Harpwitch's Home. At last, there's a ray of light when Jeremy is adopted again - this time by human clowns or cloons as the Baron has dubbed them because he detests everything different.And these clowns or cloons are unique in Metropolis because they're happy and they make people laugh. - anathema to the Baron and he vows to get rid of them.What chance do Jeremy and the cloons have against such power?Will he ever see Polly again? With fond memories of Elliott's Roscoe Wizzle (2004) this reader adds theirresistible Jeremy Cabbage to my list of favorite characters. 9. 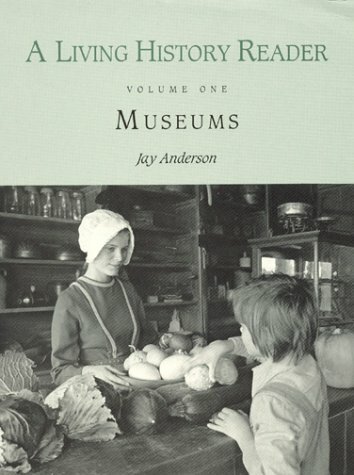 A. E. Gallatin Collection: "Museum of Living Art"
In the late nineteenth century, Scandinavian urban dwellers developed a passion for a new, utterly modern sort of visual spectacle: objects and effigies brought to life in astonishingly detailed, realistic scenes. The period 1880-1910 was the popular high point of mannequin display in Europe. 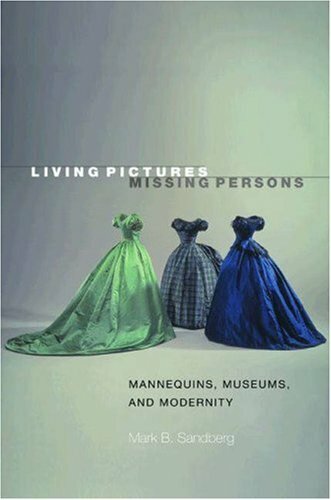 Living Pictures, Missing Persons explores this phenomenon as it unfolded with the rise of wax museums and folk museums in the largest cities of Denmark, Sweden, and Norway. Mark Sandberg asks: Why did modernity generate a cultural fascination with the idea of effigy? He shows that the idea of effigy is also a portal to understanding other aspects of visual entertainment in that period, including the widespread interest in illusionistic scenes and tableaux, in the "portability" of sights, spaces, and entire milieus. First, let me say I bought this in hopes of discovering more about antique mannequins, perhaps history of the genre.Serves me right for finding the cover photo so attractive.This is a very serious work about the phenomenon of their use as vehicles of entertainment and waxworks as a social commentary.At this, it succeeds but not what I expected at all.Halftone photos only, no color closeups or figure studies as I'd hoped.Certainly no biographies of famous mannequins makers (Madame Tussaud, Lester Gaba).Some of the tableaux pictured were interesting but hardly worth purchasing the book for.